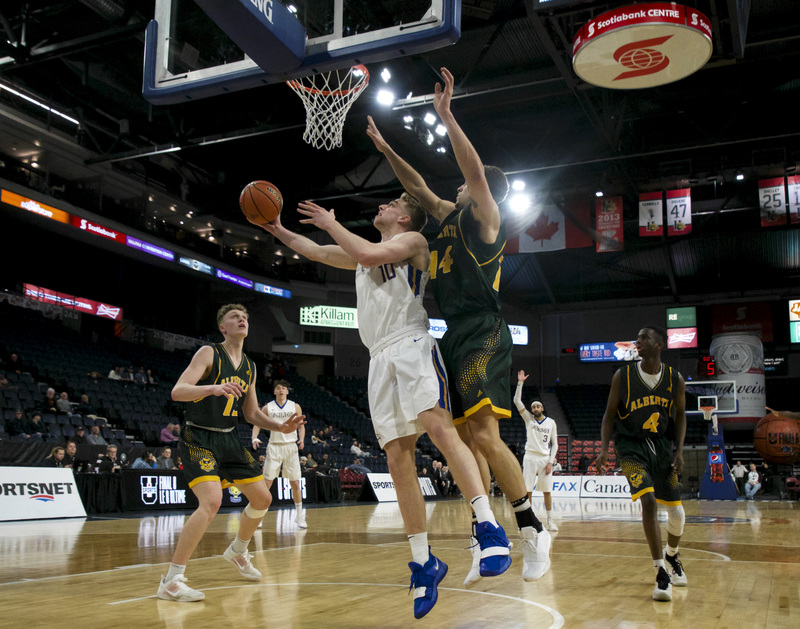 In the final edition of our T-Birds Q&A for the 2018/19 school year, we are taking the questions to our very own team of sports columnists here at The Ubyssey and asking them to reflect on a year full of expectations, upsets and unexpected triumphs. Sure, we have our biases based on what we covered exclusively — but there are still some teams, playoff runs and events that stick in all of our minds. 1. Who was the best Thunderbird team of the year? AO: Women’s cross country. They ran across the whole country. BS: Men and women’s swimming teams. 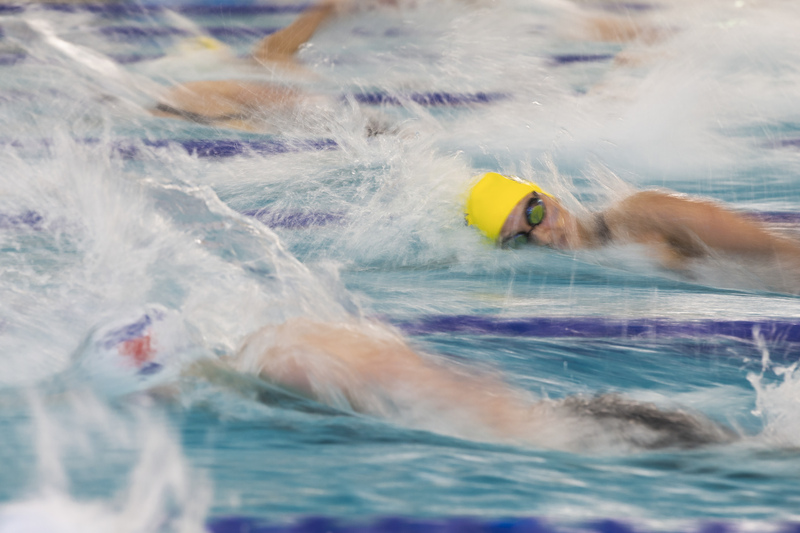 UBC swimming might be the most dominant program in U Sports right now. EW: The women’s volleyball team. MB: UBC swimming — big dynasty energy. PM: Our fantastic swim teams, due to their consistency in bringing the championship banners home. RN: Men and women’s swimming. SY: Women’s volleyball. With a large number of new players and a slow start to the season, they managed to eke into the nationals tournament as the eighth seed and win! 2. Most disappointing team this year? AO: Men’s field hockey. It’s supposed to be played on ice, duh. BS: Football. 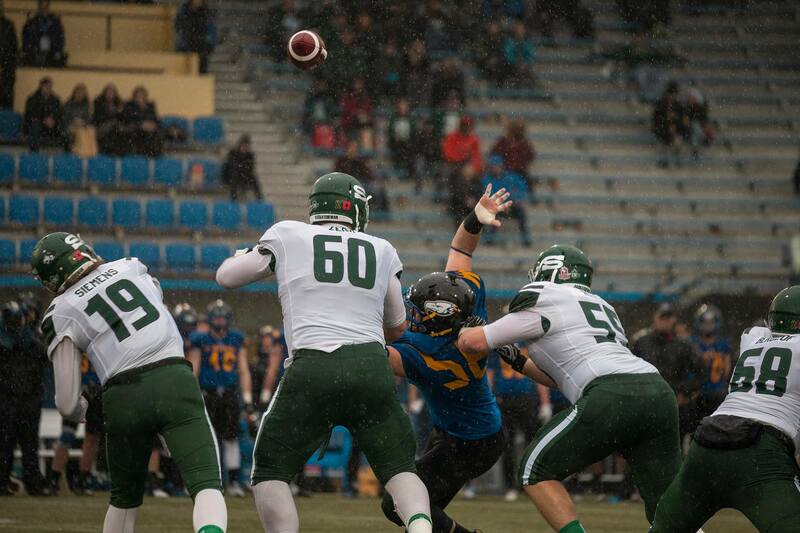 They had the talent to win the Hardy Cup and Canada West title but dropped a heartbreaker in the semi-final at home. EW: The men’s soccer team. 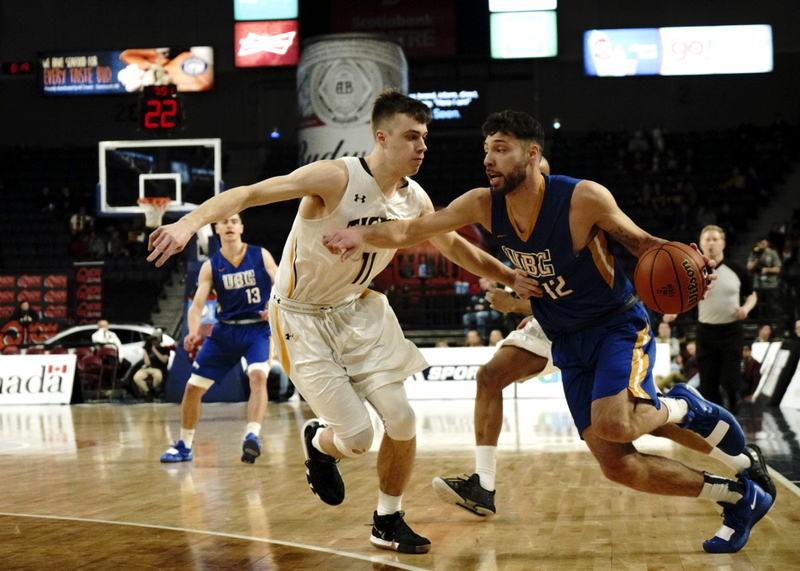 MB: With Michael O’Connor moving on to the CFL and Trivel Pinto moving on somewhere else, the UBC football team missed out on making the most of a stellar graduating class. 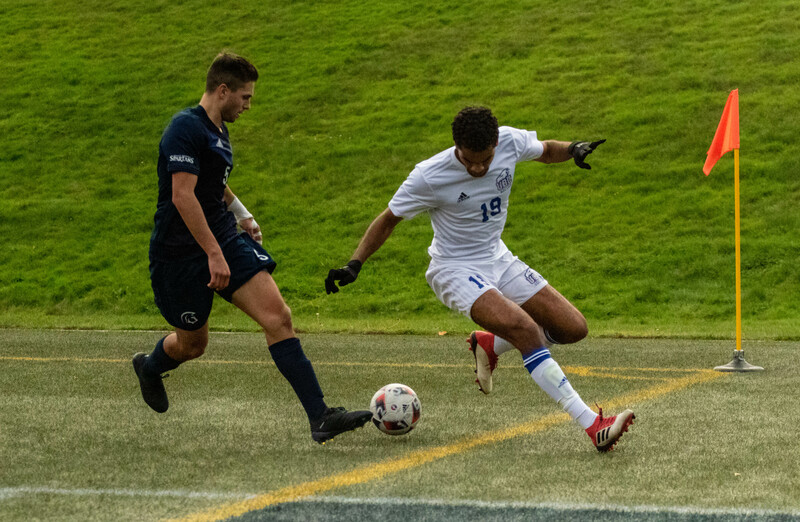 PM: The men’s soccer team’s spectacular exit from the national tournament hosted at UBC was a sad but slightly funny ending to their season. SY: Men’s soccer. They had an outstanding regular season, only losing one game, but that did not correlate into doing well at nationals. They lost every game in an utterly disappointing fashion. 3. 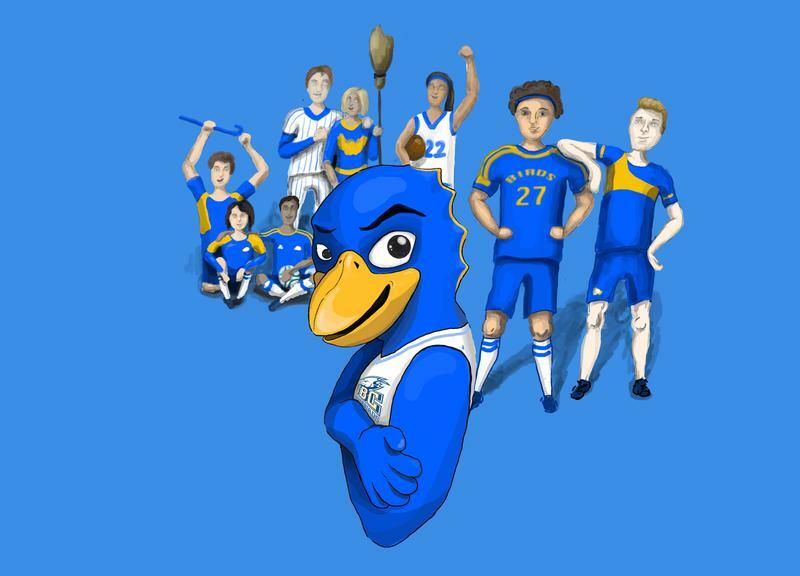 Slogan of UBC Thunderbirds varsity this year? AO: Please watch our sports. We sell hot dogs. MB: Once you’ve secured a playoff spot, regular season results mean nothing. PM: We value all our teams equally, regardless of if they’re ❤football❤ or …. lacrosse? Is that varsity? RN: Defeat isn’t bitter if you don’t swallow it. SY: Expectations do not equal outcomes. 4. Underrated athlete of the year? AO: The person in the Thunderbird costume — what a thankless gig. BS: Tory Micklash. She was the backbone of a team that exceeded expectations and will challenge for nationals next year as long as she is in the crease. EW: Maddison Penn from women’s basketball and Olivia Furlan from women’s volleyball. MB: Mason Bourcier. The sophomore point-guard was the most important player for the basketball team this year, buried in a starting lineup of big stat producers. PM: Baseball pitcher Garrett Hawkins. RN: Maxwell James from men’s hockey. SY: Olivia Furlan from the women’s volleyball team transitioned from playing almost exclusively as a go-to outside hitter last season to being the setter this year with 755 assists. 5. What athlete do you expect big things from going forward? AO: The Thunderbird Marching Band. BS: I expect big things from Thomas Gardner. Men’s soccer will be one of the favourites to win nationals next year, but whether they succeed will depend on the play of their star midfielder. EW: Grant Shephard, men’s basketball. MB: Garrett Hawkins. The rookie pitcher has already found his way into a young starting rotation for UBC baseball and has flashed great potential. PM: I'm always going to have my eye on the women's stellar goalie, Tory Micklash, eager to see her styling with those consistently impressive saves. RN: Grant Shephard from men’s basketball. SY: After her second all star season in a row, how could you not expect great things from Kiera Van Ryk. The women’s volleyball kill leader also took home enough awards to warrant renting a U-Haul truck. 6. Who will be the best/most eye-catching team next year? BS: The best team next year will be the men’s basketball team. They return most of their starters so it would not be a surprise if they win nationals for the first time since 1972. EW: The men’s volleyball team. MB: Men’s basketball, no doubt. They sent an almost brand-new lineup to nationals this year. They’ll send five even more experienced players at the end of next season. PM: With all the faith in my heart, I believe in the women’s hockey team, so make sure to keep your eyes peeled for their championship run next year. SY: Men’s basketball. If all the fourth-year players return, the cohesion we saw this year should allow them to make another run at the national tournament. 7. And finally, what was the best moment in varsity sports this year? AO: Every time I watched the Thunderbird Marching Band play and I learned that they sell hot dogs at the sports games. I’m constantly, like, “Ugh, I wish I could have a hot dog,” and now I finally know where to get hot dogs on campus. Also bumping into Patrick Chan was cool. BS: UBC men’s hockey’s comeback against Lethbridge. Down three goals heading into the third period, the team came back in dramatic fashion with four goals all scored by Jerret Smith, including the game-winner in overtime. EW: When the women’s volleyball team won the national championship. 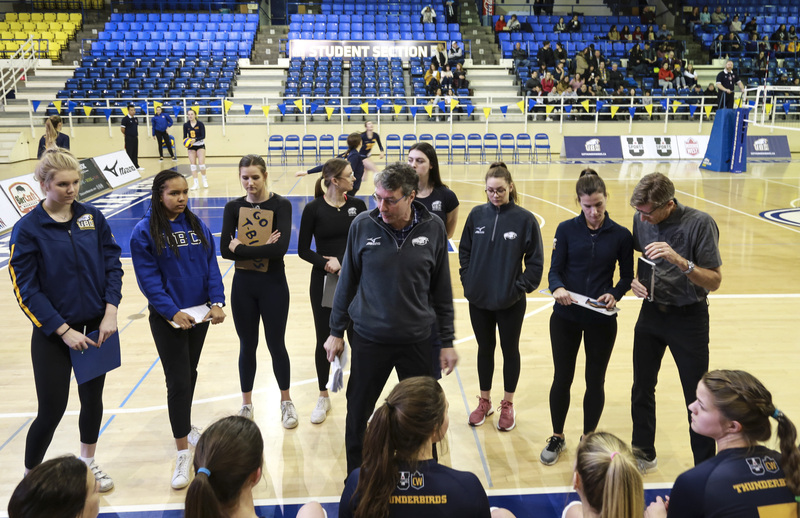 MB: UBC women’s volleyball’s Cinderella run — they entered U Sports nationals the eight seed and left the champion. PM: The women’s volleyball team taking home the gold was the exclamation point to a phenomenal season and something this campus will be sure to remember for a while. RN: Watching the swimming teams three-peat in front of the home crowd. SY: Seeing the women’s volleyball team win nationals — not that I’m biased at all. Bonus from our sports editor: What was the best sports moment of the year? LF: Mikayla Ogrodnizcuk’s tweet alleging gender inequality in the hockey playoff schedule. Though the policy that followed suit currently only applies to hockey, this entire event was a huge stepping stone in the direction of gender equality within Thunderbird athletics and was a brave step from a Thunderbird athlete to call the department’s scheduling into question. I hope this translate into continued change across not only UBC Athletics, but U Sports as a whole.